From Joe Witt: At first glance, the southern Appalachian areas of West Virginia, Virginia, Kentucky, and Tennessee might appear to be prototypical “Trump country.” Rural, religiously conservative, predominantly white, and economically depressed, the region seems like fertile ground for Trump’s so-called populist revolt. Indeed, Trump won the Appalachian states of West Virginia and Kentucky with 68% and 63% of the vote, respectively, largely on a promise to “legalize coal.” Taking his cues from local politicians, Trump deployed a familiar narrative: the ongoing decline in the coal industry was not due to international market forces, competition from cheaper forms of energy such as natural gas, or a general reduction of reserves following a century of intensive mining. Instead, the “war on coal” was caused by excessive environmental regulation foisted upon an unwilling people by distant and aloof political elites. In Appalachia, where many claim that “coal is king,” such narratives have become commonplace and many still see a revival of the coal industry through the removal of environmental protections as Appalachia’s only hope for revival. Despite this high level of support for coal in the region, though, there remains a strong, local resistance movement to the industry. It may be tempting to see Trump’s victory in Appalachia as reflecting a broader disconnect between rural, working class whites and a broader nation that misunderstands their needs and concerns. While certainly worthy of further investigation, such accounts might also uncritically support a conservative narrative equating the working class with anti-regulation, anti-environment and xenophobic policies, masking the times that the poor and working class have forged complex alliances with other stakeholders to fight for environmental justice, worker’s rights, and against corporate power. Appalachia may indeed be “coal country” for some, but it has also been the site of do-it-yourself style community organizing and long-lived resistance to economic and environmental exploitation. The radical spirit of organizers and educators like Mother Jones, Myles Horton, and Don West lives on in the work of Judy Bonds, Maria Gunnoe, Larry Gibson, and numerous others who continue to fight for environmental and social justice. Against a seemingly overwhelming emphasis on coal as the key for Appalachia’s future, these activists and numerous other community members work toward more equitable, just, and environmentally-sound futures for the region. This spirit of resistance is particularly evident in the 21st century movement against mountaintop removal surface mining. 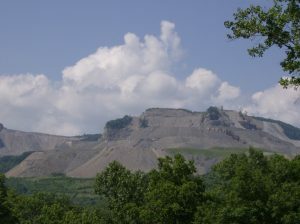 Appalachians have opposed the social, economic, and environmental damages of surface mining for decades; but in the early 2000s, this long-lived resistance entered into a new phase, particularly with the instigation of the Mountain Justice Summer direct action campaign. 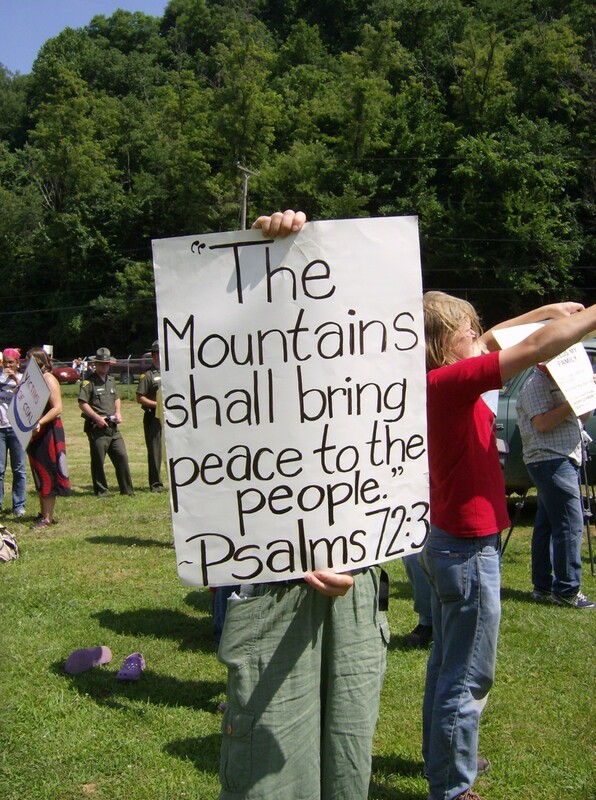 The anti-mountaintop removal movement brought together many diverse stakeholders—retired miners, clergy, educators, youth, elders, scientists, and activists—who, through their tensions, negotiations, and collaborations helped to bring mountaintop removal to international attention, revive civil disobedience and direct action tactics in a post-9/11 political environment, and forge a strong, creative, community-based movement for justice and economic revitalization. Before starting as an Assistant Professor of Environmental Humanities at the Middlebury School of the Environment, I was fortunate to be able to engage in this movement, both as a participant and a scholar. As I observed the movement grow and change over about a decade, I discovered that these activist efforts were frequently grounded in specific religious and ethical commitments to the place and people of Appalachia. Evangelical Christians, Catholic social justice activists, American Indian religious practitioners, and numerous other advocates of nature-revering spiritualities worked together to develop and advocate for a collective vision of the region, rejecting utilitarian economic arguments supporting coal mining in favor of the affective spiritual and ethical values of place. 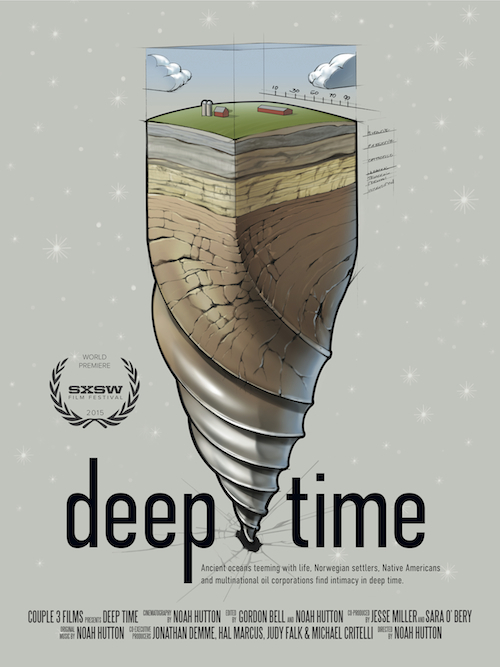 In their critiques of the coal industry, Appalachian activists deployed what Indian environmental historian Ramachandra Guha called a “vocabulary of protest.” They not only challenged a specific mining practice, but also the ethical systems in which that practice was based, offering new visions of a post-coal Appalachia that moved beyond capitalist exploitation toward more localized, just economies and ecological sustainability. While the struggle against coal and its damages in Appalachia is ongoing, the case of the 21st century anti-mountaintop removal movement provides important lessons about effective community-based collaboration to address pollution, injustice, and climate change. Despite internal tensions and conflicts, the story of the movement demonstrates the power that local communities can harness against seemingly indestructible corporate forces. In an age of unprecedented threats to the environment, to the poor, marginalized, and disenfranchised, and to democracy itself, stories like these of resistance, dissent, and resilience in light of oppression, exploitation, and totalitarianism have become all-the-more important. More information about these issues can be found in Religion and Resistance in Appalachia (University Press of Kentucky, 2016). See also: http://www.kentuckypress.com/live/title_detail.php?titleid=3878#.WIuJQ9IrKUk. 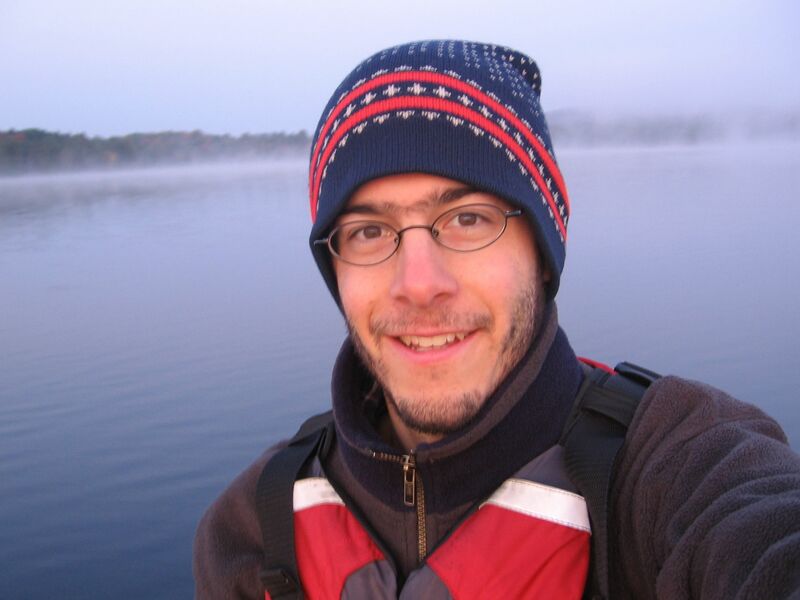 Gregory Rosenthal, who was a member of the inaugural faculty of the Middlebury School of the Environment in 2014 and who earned his PhD in History from Stony Brook University in 2015, has been awarded the Rachel Carson Prize for Best Dissertation from the American Society for Environmental History (ASEH). 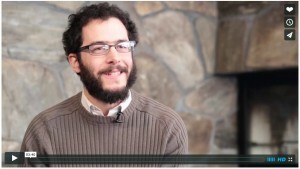 In 2014, Gregory taught “Environmentalism and the Poor,” a seminar that explored the diverse “environmentalisms” that are practiced by both “first worlders” and “third worlders,” by both rich and poor, both workers and capitalists, between the global north and the global south as well as within small-town communities, villages, and cities across the world.” In addition, he co-taught “Understanding Place: Lake Champlain” with Steve Trombulak, and together they guided the students through the interplay between cultural and natural narratives of place. Gregory returned to the MSoE in 2015 to present a workshop on environmentalism and the poor, emphasizing the key themes in his previous summer’s elective course. Gregory is now an assistant professor of public history at Roanoke College in Salem, Virginia. His winning dissertation is a history of Native Hawaiian migrant labor in the 19th-century trans-Pacific economy. He has published in Environmental History, World History Bulletin, and Perspectives on History, and is the recipient of awards from the American Council of Learned Societies, the American Historical Association, the Huntington Library, the Bancroft Library, and the Massachusetts Historical Society. He is also the co-author of “Many Environmentalisms, From New York to Kabul, From the Past to the Present,” published in Solutions (May-June 2015: 72-76), written with Marjeela Basij-Rasik (MSoE ’14) and based on work that emerged from the MSoE elective. Last week, the faculty of the Middlebury School of the Environment convened on campus for a two-day retreat to discuss our courses and co-curricular programing for the coming summer. We took advantage of Gregory Rosenthal being here to talk with him about his thoughts on environmental humanities, globalism and poverty, and his courses for the School. Check out the video that emerged from the interview. I think you’ll agree that he will bring an exciting perspective to the School this summer! I just put down Mike Davis’ haunting book about urban poverty, Planet of Slums. (We will likely be reading another of Davis’ fine books this summer in my elective course, “Environmentalism and the Poor.”) In Planet of Slums, Davis recounts the late twentieth-century history of how “second world” and “third world” states—lured on by “first world” incentives—adopted neoliberal privatization schemes that dispossessed the rural poor and sent hundreds of millions of people flying into outsized urban ghettos. World poverty is now more an urban phenomena than a rural one, Davis writes, and more humans today live in “slums” than at any other time in human history. 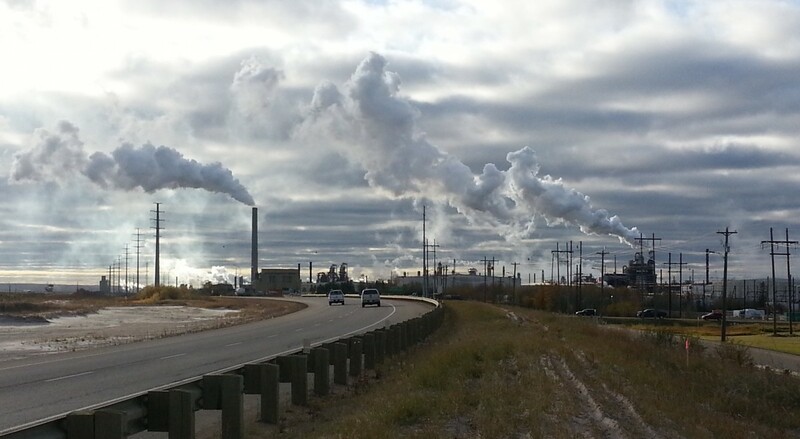 This leads me, an environmental historian, to wonder: whose environments matter? What I mean is: when we talk about “environmental” issues, or we engage in debates over how best to protect the “environment,” whose environments are we really talking about? Do we care most about protecting flora and fauna, air quality and water quality, work environments, slums? And what do we mean by “protection”? Protection from whom? In his book Crimes Against Nature, historian Karl Jacoby shows that late nineteenth-century efforts to protect wilderness in the United States really amounted to a class war: a series of battles waged by affluent conservationists against the poor people who already lived and worked within those woods. Creating “wilderness,” Jacoby reasons, necessitated removing indigenous and working-class peoples first. This same theme was echoed in Ramachandra Guha’s aptly titled classic, The Unquiet Woods, about indigenous and working-class resistance to forest conservation in India. The take-away here is that whenever we think about “environment,” we ought to ask “whose environment” and then we might try and listen and see if we can’t hear the “unquiet” of those marginalized peoples whose ideas about “environment” perhaps differ from our own. But the question “whose environments matter” does not simply apply to woods and waters, the traditional subject matter of environmental scientists, humanists, and policy makers. This question also forces us to reconsider which (and whose) environments are most worthy of our attention. In Planet of Slums, Davis’ chapter “Slum Ecology” does just that. The writer takes us inside of the world’s worst concentrations of urban poverty to understand how slums environments work. They are geographically situated on top of fault lines, on eroded and unstable hillsides, and in stagnant bottomlands where untreated water is never flushed out and the “modern” convenience of toilets is almost wholly unknown. Slum environments, Davis writes, are unusually prone to deadly fires, rampant disease epidemics, and worst of all, unbridled military and police repression. States love to “clean up” slums—U.S. history is full of such examples—and poor people are consequently displaced over and over again in a cycle of violence, poverty, and economic and political marginalization. 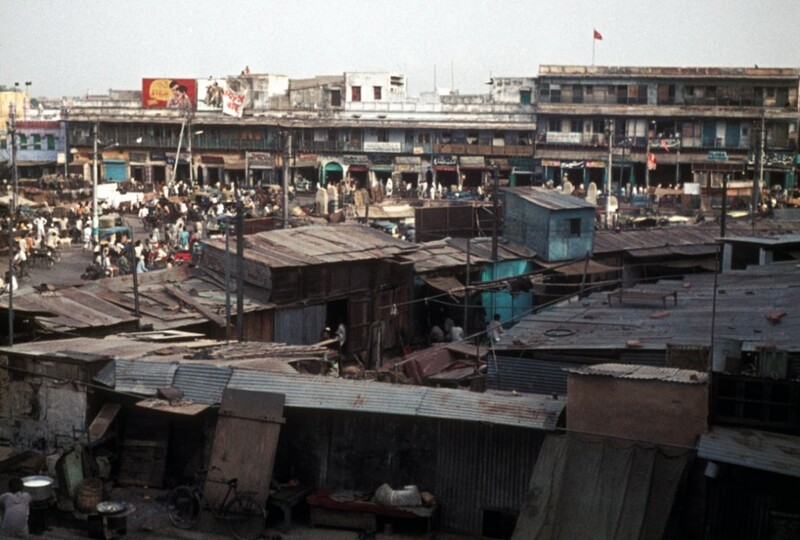 But to understand the linkages among poverty, globalization, and the environment, it is not enough just to study (and seek to fix) slum environments. We also must understand what forces have caused—and continue to cause—the largest rural-to-urban mass migration in human history. This summer, I hope that we may read a short selection from Hsiao-Hung Pai’s recent book, Scattered Sand. Pai, a journalist, traveled for years among China’s “floating population”—the hundreds of millions of rural peasants who since economic reforms of the 1980s have left the countryside and moved into urban work environments. Environmental transformations—such as the commoditization and export of local resources, and even the creation of wilderness areas and the initiation of environmental management programs meant to provide clean air, water, and housing— have sometimes had crippling effects on the world’s poor: farmers dispossessed, locally-based economies ruined, and working peoples left in the cold with no social safety net to fall back on. Whereas Karl Marx theorized that capitalism would soon turn the world’s rural peasantry into a massive urban proletariat, Mike Davis, in Planet of Slums, suggests that in most cases, that never really happened. Instead, enclosure and dispossession led only to high levels of unemployment, informal “black market” economies, and megacity-sized slums. For those of us who care about the “environment” and “environmental issues,” this line of thinking only leads to further questions rather than answers. Should we focus on urban, rural, or wild environments? Should we study plants, animals, or people? Land, water, or air? Where does the solution to global poverty lie? And how are terms such as “poverty,” “globalization,” and “capitalism” not only interconnected but also reified in the real-world environment around us? Can we see it in our local forests? Can we hear it in the song of the loon? Can we taste it in our morning coffee or feel it in the evening breeze? At the School of the Environment we will explore these questions. Environmentalism used to be understood as the privilege of affluent “first worlders,” an exercise in protecting nature from those too uncivilized or too ignorant to care for it by themselves. But this is no longer the case. 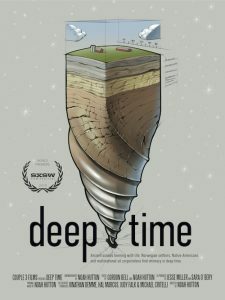 In the past several decades, environmentalists—and environmental historians who study the history of human-nature relationships—have begun to acknowledge and account for the diverse “environmentalisms” that are practiced by both “first worlders” and “third worlders,” by both rich and poor, by both workers and capitalists, between the global north and the global south as well as within small-town communities, villages, and cities across the world. That class is one of the key determinants in how different people experience and care for the environment is gaining acceptance among social scientists and is inspiring exciting new research in the field of environmental history. This course will explore the relationships among environmentalism, class, and power in human history, as well as the consequences of these relationships for poor and working class peoples. A class-conscious history of globalization—in which “globalization” is understood as the rise of a globallyinterwoven capitalist economy over the past two centuries—reveals the various ways in which “environmentalism” has served the powerful while impacting the less powerful. At the same time, we will examine the resistance strategies of working class peoples the world over, to see how environments can be reclaimed by and for the poor. We will work collectively in this class towards developing a “poor people’s environmentalism”: a blueprint for thinking about global nature and the responsibilities of the powerful and privileged in alleviating poverty and supporting poor people’s rights to, and in, the environment. Gregory will also co-teach the course on “Interdisciplinary Understanding of Place: Lake Champlain,” bringing to this class his unique perspective on how historical perspectives on culture diversity and identity help illuminate the narratives that frame a comprehensive understanding of a landscape and its possible environmental futures. We are excited to have Gregory join us for the inaugural summer for the School of the Environment. He specializes in global environmental history with a focus on migrant labor, indigenous peoples, and human-environment relations in historical perspective. At SUNY Stony Brook his Ph.D. research examines the history of Native Hawaiian migrant labor in the nineteenth-century global economy. He has published in Environmental History and World History Bulletin and received grants and fellowships from the American Historical Association, the Huntington Library, and the Bancroft Library at the University of California, Berkeley. In college, Gregory studied traditional Chinese music and indigenous ethnomusicology (and even attended Middlebury’s Chinese Language School). He holds a Masters degree in Public History from SUNY Albany and formerly served as Education Coordinator at the Thomas Cole National Historic Site in upstate New York. He also previously worked as a Park Ranger in New York City, and when not at Middlebury, Gregory continues to lead historic walking tours of Manhattan’s streets while also enjoying hiking, birding, swimming, and clamming in the city’s urban forests and coastal waters. Gregory joins Steve Trombulak and Cat Ashcraft as a member of the full-time faculty in the School of the Environment, and will participate throughout the six-week session in creating the full immersion program we have planned.